A rug is one of those things that can instantly pull a room together. Sick of your current living room set-up? A geometric area rug can completely transform the space. Dark green kitchen cabinets? Throw in a pink vintage runner for an Insta-worthy room you'll love spending time in. If you're ready to revamp your space — and don't feel like breaking the bank — RugsUSA's White Sale is the perfect one-stop shop for a total room makeover. 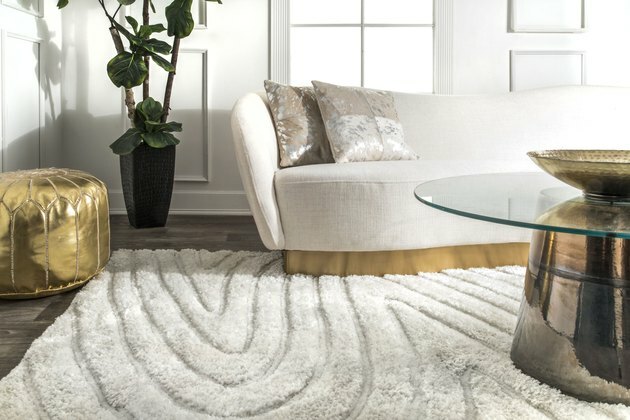 For today only, the discounted rug retailer is offering up to 75 percent off on over 2,000 styles. And although white is the theme, it's not the only color of style offered. So you can score this gorgeous Moroccan trelis rug for less than $150 for an 8-by-10, but you can also snag this vintage pink-and-red rosette in a runner for only $55! The sale is so massive, we're pretty much considering re-rugging our entire home. But act fast — the sale only lasts through the end of the day.